We live to eat . But have you ever thought are you eating properly? These days people have so many health issues like obesity, over eating , diabetes, indigestion , constipation etc , by just eating consciously it will help you to overcome and maintain healthy lifestyle . Discover the ancient way of eating consciously and embracing the food that we eating . 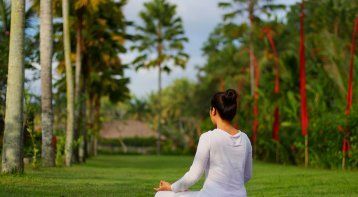 Aaira Love's journey to the mystic world began when a friend of hers introduced her to Om chanting in 2007, and he started healing her. She was weak, underweight, hemoglobin deficient and lethargic. She was egoistic, selfish, stubborn, narcissistic, revengeful and introvert. Her life was better physically but emotions and finances were not very good. The year 2010 was an important year for Aaira. She was introduced to Pranic healing. This changed her understanding towards life. New learnings and teaching transformed her into a wise and loving person. In the journey of life, she gained knowledge from various Masters and Yogis. She says that if she can transform her life, anybody can. Love gave her the courage to keep moving forward; the love which she found in her heart for herself. Energetic Chakras Cleansing and Balancin. . . Please call our expert, Ms. Sugandha Arora, on 9650012266. Please note that our experts accept calls between 10 a.m and 7 p.m only.